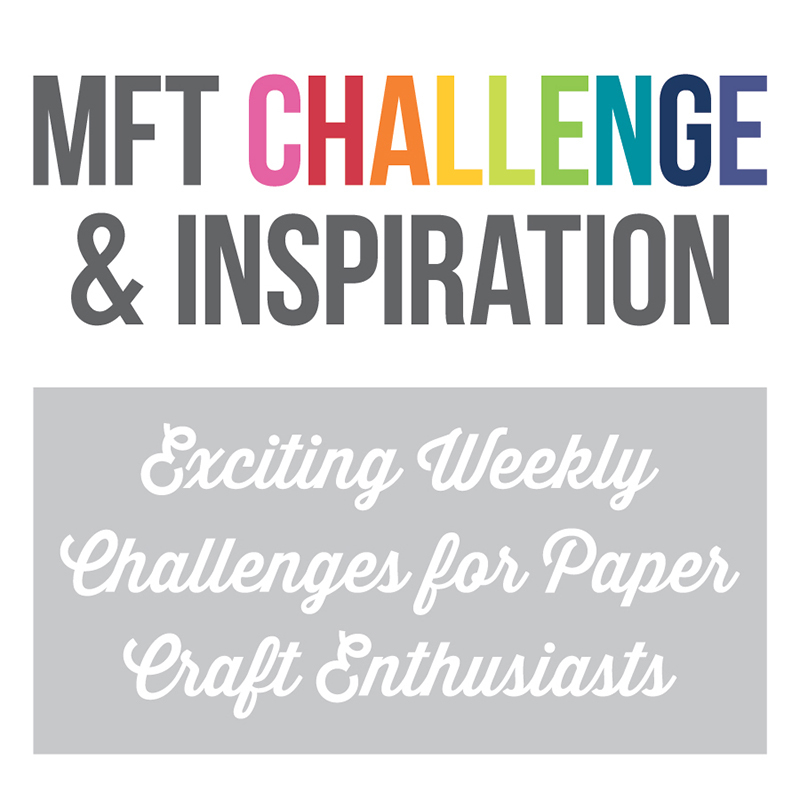 Paper Pursuits: MFT February Release Countdown, Day One! Hey everyone, welcome to Day One of MFT’s February Release Countdown!! It’s the last day—release is tomorrow at 10am, Eastern so set your clocks! 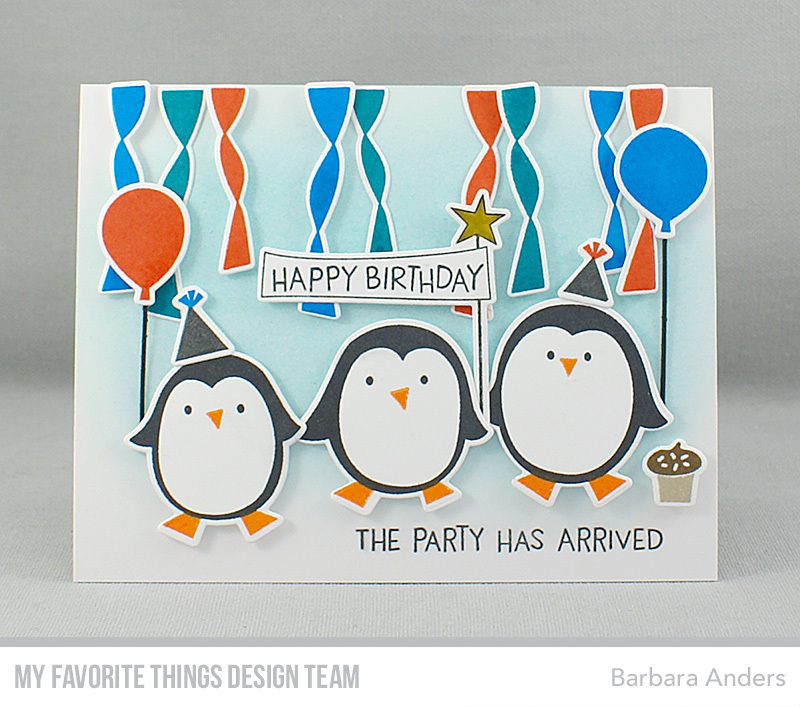 Today we’re previewing Mini Heart Shaker Window & Frame Die-namics, Heart Trio Shaker Pouches, Spectacular Birthday Stamp Set, Spectacular Birthday Die-namics, Party Penguins Stamp Set, Party Penguins Die-namics, and Straight from the Heart Die-namics. 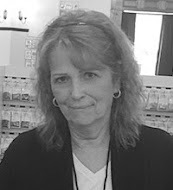 Be sure to stop by the MFT Blog for all the details. 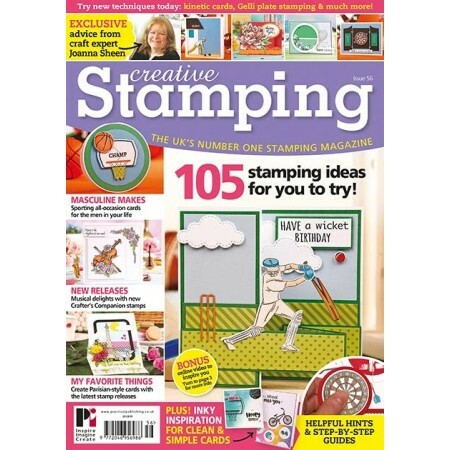 For my first card today I’m using Spectacular Birthday Stamp Set & Die-namics to create a sweet little scene. The image was stamped with Extreme Black hybrid ink, cut out with the coordinating Die-namics, and colored with Copic markers—except the tiny umbrella which I paper pieced. Then I added the clouds, using Mini Cloud Edges Stencil, some patterned paper from Fun & Frolic Paper Pack, and a wooden sheet Single Stitch Line Tag-Corner Frames Die-namics, popped up on foam. Then I popped the image up on foam in the scene, added some Puffy Clouds, and the sentiment stamped on Cement Gray card stock and cut with Essential Fishtail Sentiment Strips. 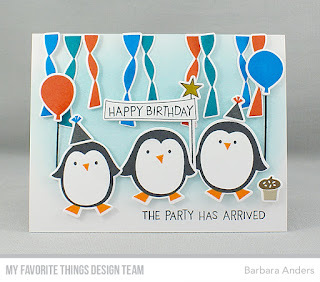 For my second card I’m using Party Penguins Stamp Set & Die-namics. This sit is SUPER fun to play with! I started my sponging my background using Berrylicious dye ink on Strathmore Bristol Smooth Paper and stamping the sentiment at the bottom. 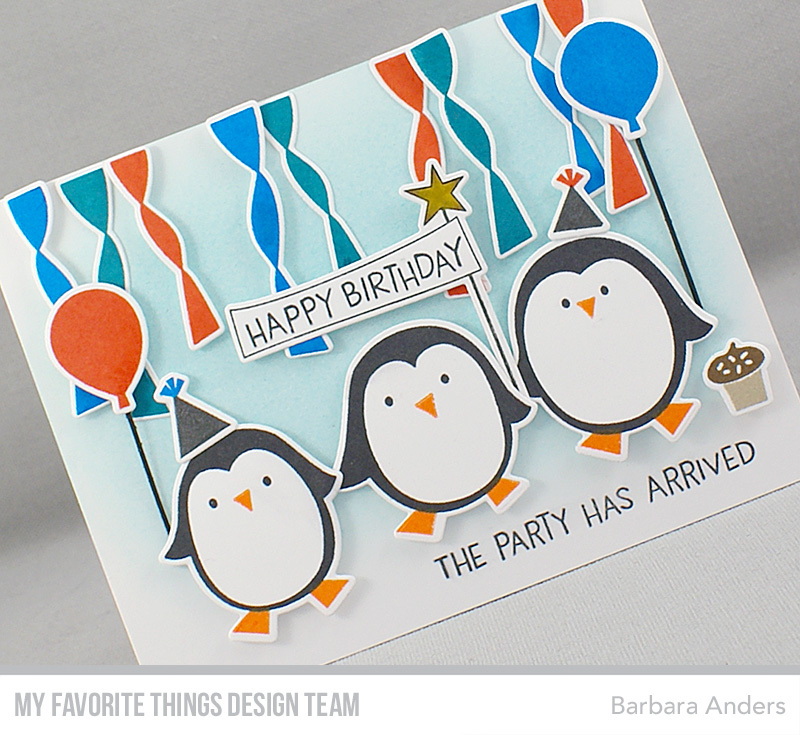 Next I stamped up a bunch of elements including all the penguins, balloons, party hats, and the streamers in three colors of dye ink: Tangy Orange, Lush Lagoon, and Tropical Teal. Then I set the scene by arranging the streamers and adhering them—some directly and some popped up on foam, then the other elements, also popped up on foam for dimension. And there you have it for Day One—and the last day—of MFT’s February Release Countdown! Thanks so much for stopping by! See you back tomorrow for the MFT & Friends Feature! Your cards are always so adorable! Your cards are adorable Barbara. I love the little penguin card such a fun design. Thanks for sharing. 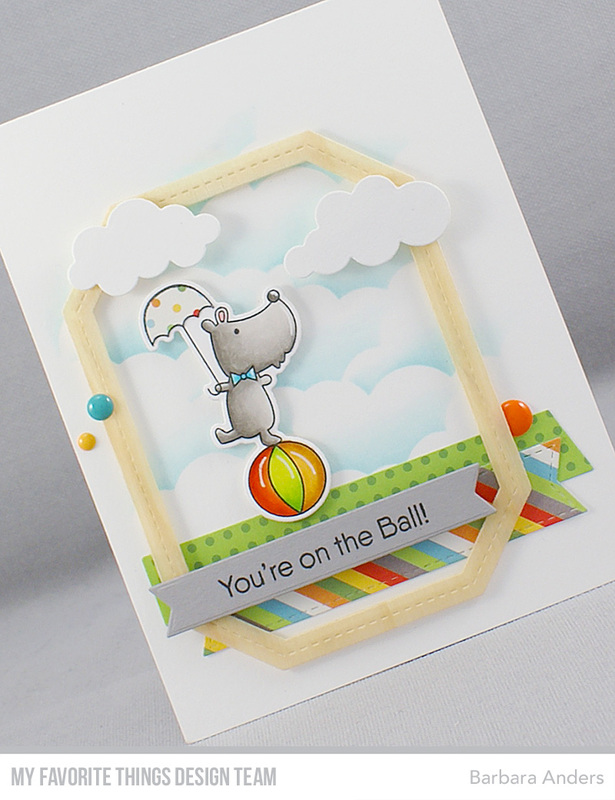 Cute cards - i love that you used other dies to make the first card. 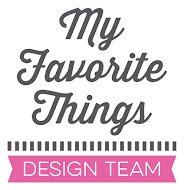 I'm always looking for ideas that use older dies and stamps along with the new ones. Both cards are so cute! Great coloring job. So super cute!! Love the penguins!! 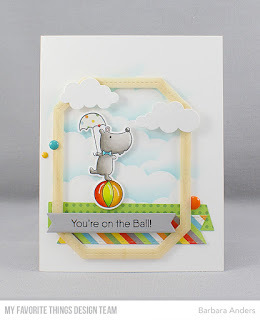 Two great cards- I liked the frame around the cute circus dog! The penguins really know how to celebrate!